Evergreen has a wide range of industrial regulators manufactured by Uniweld that can be applied to various uses. There are medium-duty, single stage regulators for oxygen, acetylene, LPG and fuel gas. We also have special purpose, single stage regulators with gauge boosts. 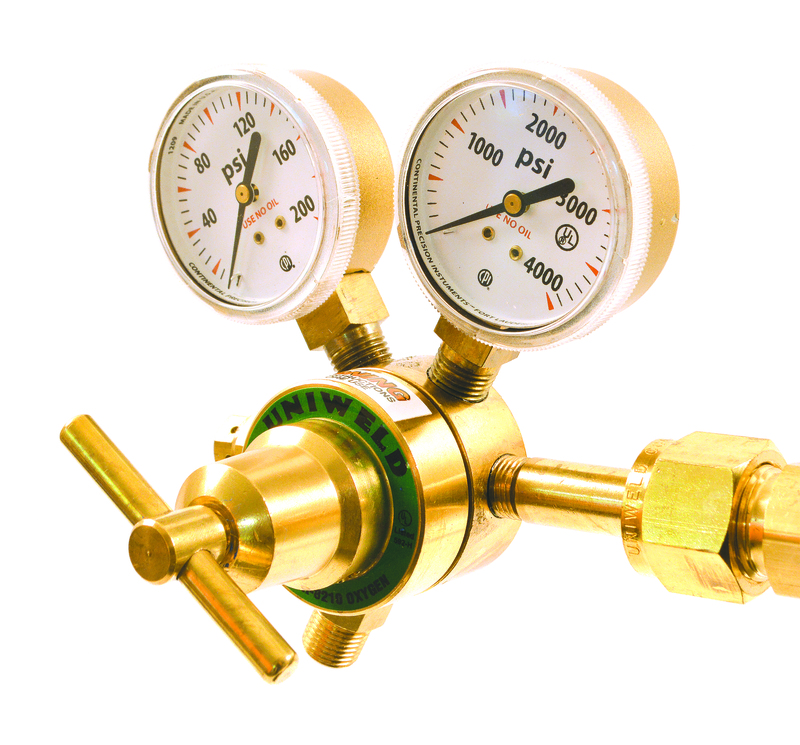 Our industrial regulators include medium-duty, two-staged regulators with different size gauges suitable for various gases like oxygen, helium, hydrogen, nitrogen, acetylene, LPG and other fuel gases. These regulators are engineered precisely to deliver optimum performance in industrial applications. We ensure that the industrial regulators at our online store are tested as per international standards of quality. Browse our website for the specific variety of regulators you require.